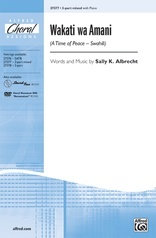 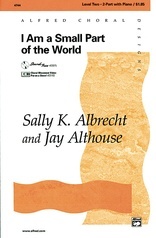 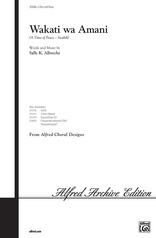 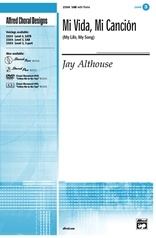 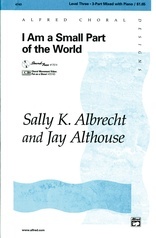 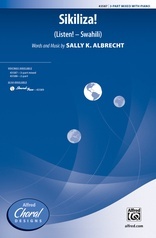 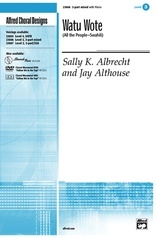 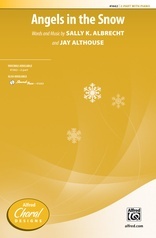 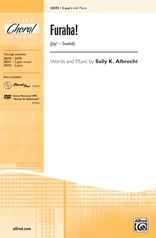 Multiculturalism abounds in this rhythmic African choral by Sally K. Albrecht and Jay Althouse. 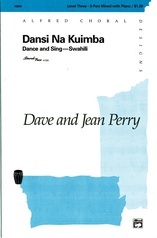 Five easy Swahili phrases are followed by their English equivalents in this pulsating piece which teaches the importance of traveling life's road "step by step." The rhythms are infectious and the harmonies are traditional. 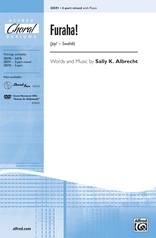 A phonetic pronunciation guide and literal translation are included in the publication, and the optional SoundTrax CD sounds authentic, with real African instruments. 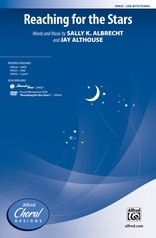 Featured on the new staging DVD/Video "On the Stage!" (DVD #23037, Video #23129).